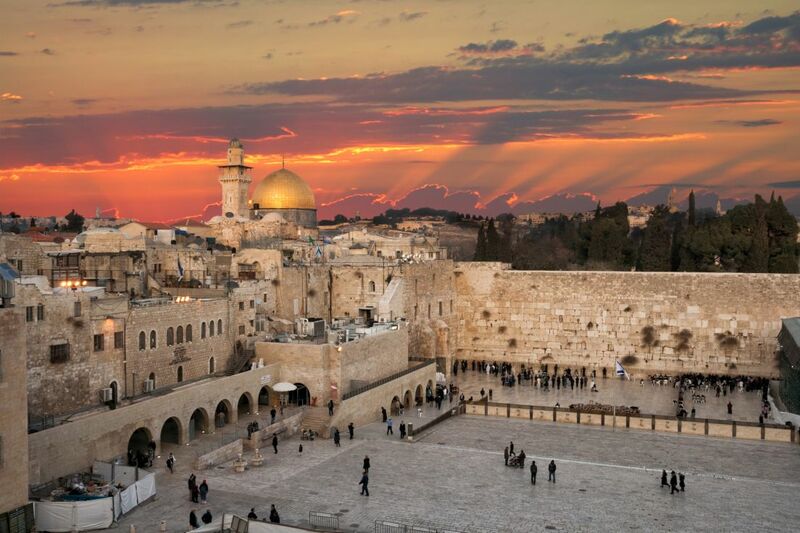 Israel is an extremely varied yet small country, and its numerous tourist attractions can be easily reached by day trips from Tel Aviv and Jerusalem. In fact, it is so small that it’s possible to go skiing on Mt. Hermon, Israel’s only ski resort, in the north, then drive only eight hours to Eilat in the south and swim in the Red Sea. Along the way, you will pass rare archeological ruins, nature reserves, some of the holiest sites in the world, the lowest place on Earth, authentic desert landscapes and much more. In the Israeli winter, many days are warm and sunny, making it the perfect time to discover Israel. In fact, the Israeli winter is known for being the time of year when one can be outside almost all day long and comfortably explore all the sights on foot. It is also the time of year when the landscape is transformed from dull brown to lush green, beautiful wild flowers pop up everywhere and streams flow. This magical and enthralling city is an unending source of fascination – regardless of how many times one has already visited. Although it has a cooler climate than the rest of the country, winters are not cold by European standards. A walking tour of Jerusalem’s Old City is always a memorable experience: each of its four quarters – Christian, Muslim, Jewish and Armenian – is bursting with historical and religious sites, including some of the holiest places in the world: the Western Wall, Via Dolorosa, the Church of the Holy Sepulcher and the Al-Aqsa Mosque. The Old City’s narrow alleys are full of interesting people and places, and the famous shuk (bazaar) is an excellent place to purchase local souvenirs. In fact, there is so much to see and do in Jerusalem, both inside the Old City walls and in the newer neighborhoods, that visitors tend to return to the city again and again. Tel Aviv is Israel’s capital of fun, and tourists increasingly flock to the city from all over the world to experience its trendy vibe, eat in its plethora of outstanding restaurants and enjoy its New York-meets-the-Mediterranean atmosphere. Since Israeli winters include plenty of sunny days, Tel Aviv’s many beaches are often full of people in swimsuits even in January, with hip Tel Avivians strolling or cycling along the beach promenade 24/7. 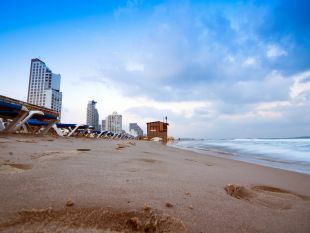 Tel Aviv has many charming neighborhoods to discover, all of which are full of restaurants, cafes and boutiques, including trendy Rothschild Blvd., Old Jaffa with its ancient port, newly gentrified Flea Market area, quaint Neve Tzedek, recently renovated Sarona and the always popular Tel Aviv Port. Nazareth, in the Lower Galilee, is an interesting place to visit not only because it is where Jesus grew up and it has many important Christian sites, but also because it is Israel’s largest Arab city. 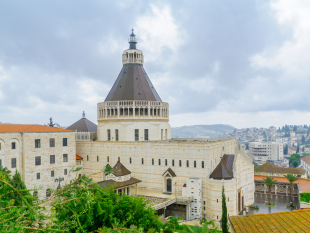 Walk around Nazareth’s quaint Old City and visit the Church of the Annunciation, where Christians believe that the angel Gabriel appeared to the Virgin Mary; the Synagogue Church, where Jesus is said to have studied; and other historical sites. Wander through the local shuk and, in December, enjoy the Christmas atmosphere, including Israel’s tallest Christmas tree, which every year attracts crowds from all over the country. Winter is also the ideal time of year to enjoy the Gospel Trail, the recently opened walking route which traces Jesus’ footsteps from Nazareth to Capernaum. The 60 km. Gospel Trail can be travelled on foot, by bicycle or by car, and is a great way to enjoy the beautiful countryside, which is green and blooming at this time of year, as well as all the holy sites along the way. Or else head straight for the Biblical village of Capernaum on the shores of the Sea of Galilee, which attracts thousands of pilgrims and other tourists every year. Highlights at Capernaum include the synagogue where Jesus gave the Sermon on the Bread of Life, the remains of the House of Peter, and a modern Franciscan monastery and Greek Orthodox church. Other worthwhile options in the area include a boat ride on the Sea of Galilee, a dip in the Jordan River, hiking, kayaking and jeep tours. Caesarea is a favorite destination for both tourists and locals. Located on the Mediterranean shore just 45 minutes north of Tel Aviv, it combines one of the most impressive archeological sites in Israel with a lovely harbor dating to King Herod, which today offers fine restaurants and boutiques. Even if you’re not an archeology buff, you will be amazed by the remarkably restored ruins with their gorgeous mosaics and the stunning amphitheater which is now a popular concert venue, as well as by the multimedia presentation that explains Caesarea’s rich history. 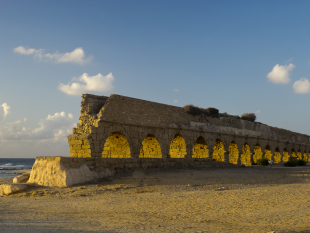 And don’t miss near-by Aqueduct Beach, where a beautiful Roman aqueduct reaches the sea on a pristine sandy beach. 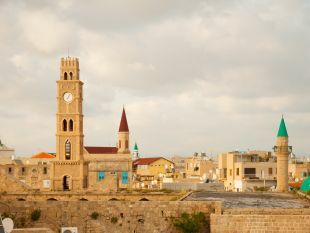 Acre (also known as Akko), located on the coast north of Haifa, is home to a mixed population of Jews, Muslims and Christians, as well as to one of the oldest ports in the world. Acre’s beautifully restored Old City has rightfully been named a UNESCO World Heritage Site; it is one of a handful of Ottoman era walled towns which have been preserved, and it also features impressive remains of a Crusader town, once buried under the Ottoman citadels and mosques. Visitors to Acre are inevitably awed by the magnificent 11th century Knights’ Hall, as well as by the underground Templars Tunnel and the Turkish Hammam (bath). Walk atop the ancient walls along the sea and watch the fishermen in action, then make sure to enjoy the catch of the day at one of Acre’s famous fish restaurants. Beit Guvrin National Park, about 60 km. south of Jerusalem, attracts numerous tourists, especially in the winter. 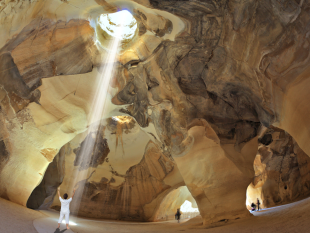 The park contains at least 800 bell-shaped caves, some of which are linked by intricate underground tunnels, and are quite spectacular. Needless to say, children of all ages (and adults too!) love to climb around in the caves and explore the remnants of the many communities that lived there since the 10th century BCE, including during the Roman and Byzantine eras. A special program at the site allows visitors to take part in an archaeological dig for a day. No visit to Israel is complete without an excursion to the Dead Sea – only one hour away from Jerusalem. Swim in this famous body of water, which is the lowest place on Earth at 430 meters below sea level; the water is so salty that you will float without even trying! And of course, don’t forget to cover your body with Dead Sea mud, which is so rich in minerals that it is sold around the world for its health and beauty benefits. Combine a visit to the Dead Sea with near-by Massada – the ruins of the palaces dating to the 1st century BCE where Jews committed mass suicide after being under siege. Massada is on an isolated plateau and is accessible by cable car. 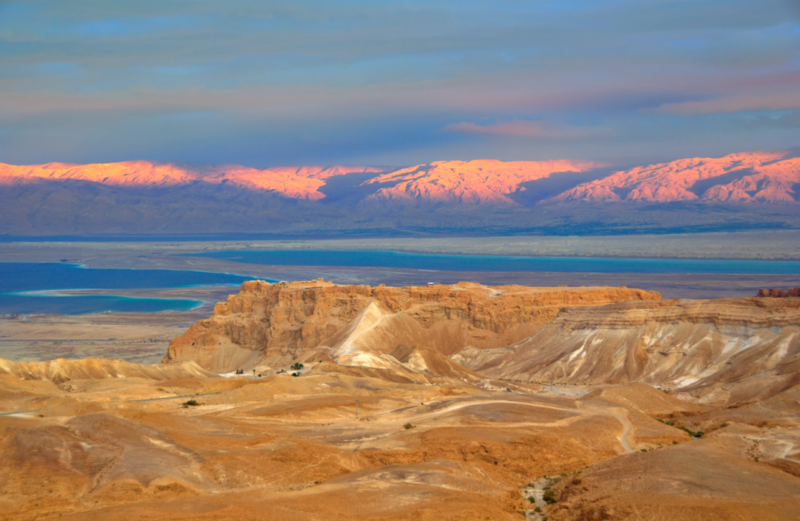 From the top, the view of the surrounding Judean Desert and the Dead Sea is truly spectacular. While in the area, don’t miss a visit to the Ein Gedi Nature Reserve, one of the most beautiful spots in Israel. This oasis includes hiking trails for all levels alongside a stream and through a lush green landscape, leading to the magnificent David’s Waterfall. All year round, people swim in the fresh-water pools near the waterfall. Mitzpe Ramon is a small town in the Negev Desert that has been transformed into a center for desert tourism. It is situated on the edge of the magnificent Ramon Crater – a favorite winter-time destination for nature lovers and hikers – and is a perfect place from which to enjoy biking, hiking and jeep tours in unique desert landscapes. 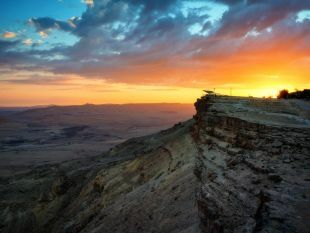 Mitzpe Ramon offers a range of hotels, a Visitors’ Center and other tourist attractions, and is also one of the best locations in the world for stargazing, with special night tours available for amateur astronomers. While in the area, visit Kibbutz Sde Boqer, where Israel’s first Prime Minister, David Ben-Gurion, lived and is buried, as well as the Negev Wine Route and the Alpaca Farm, and experience authentic Bedouin hospitality. Eilat, Israel’s southern-most town on the Red Sea, is Israel’s premier holiday resort. Temperatures rarely dip below the low 20s even in the winter and it seldom rains. Don’t miss an opportunity to view Eilat’s exquisite tropical fish and coral reefs by snorkeling, diving, taking a glass boat tour or visiting the Coral World Underwater Observatory. 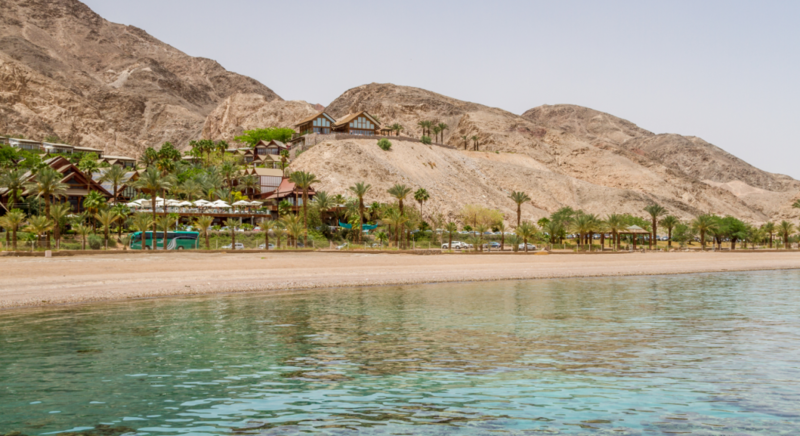 Eilat has plenty to offer the adventurous – desert excursions, water sports, camel rides, sky diving and even ice skating – but it is also a perfect place to just relax, pamper yourself and enjoy a break. Arkia operates many daily flights between Tel Aviv and Eilat. Throughout the winter, Arkia Airlines offers direct flights to Israel from the U.K., Germany, France, Netherlands, Italy and other countries, as well as terrific holiday packages that include hotels in Tel Aviv. Arkia has also launched a new route from Larnaca, Cyprus to Sde Dov Airport in the middle of Tel Aviv, with three weekly flights. All Arkia tickets include free baggage, meals and security. Whatever you’re looking for in a winter get-away, you will find it in Israel: history, culture, nature, beaches, friendly people, excellent food and more. And you don’t even need to travel far!